The House Still Stands: Hardy’s of Alnwick | A Continuous Lean. It’s steelhead and salmon season out West from Northern California up to B.C. and Alaska. The trout gear has been stashed in the closet until next May and we’re breaking out the heavy duty rods and reels in search of finicky anadromous fish. While modern, freight train-stopping disc drags are popular, (Hatch, Nautilus, Tibor, Abel, Ross) many two-hand enthusiasts prefer to outfit their spey rods with a simple click and pawl Hardy reel. This mechanism doesn’t offer a true drag, but more so, line resistance and a check to keep the reel from over-running while playing a hard-fighting fish. 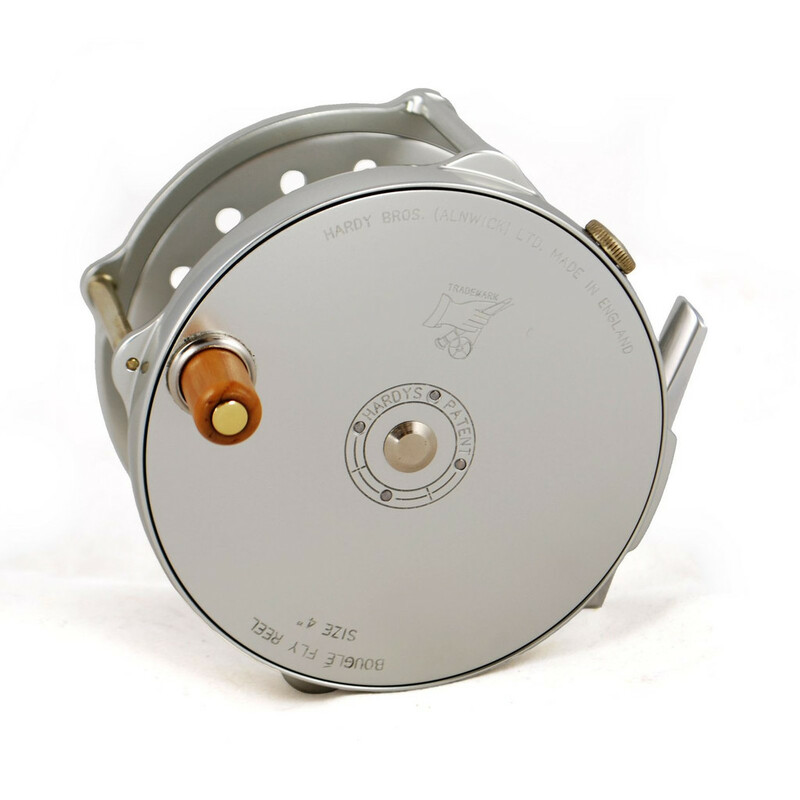 A Hardy also provides the most incredible sound of any reel ever made – something akin to a two stroke engine racket that echoes down the river canyon when an angry steelhead makes a kamikaze run after it’s been hooked. This perfect pairing, however, goes beyond aesthetics and auditory pleasure. 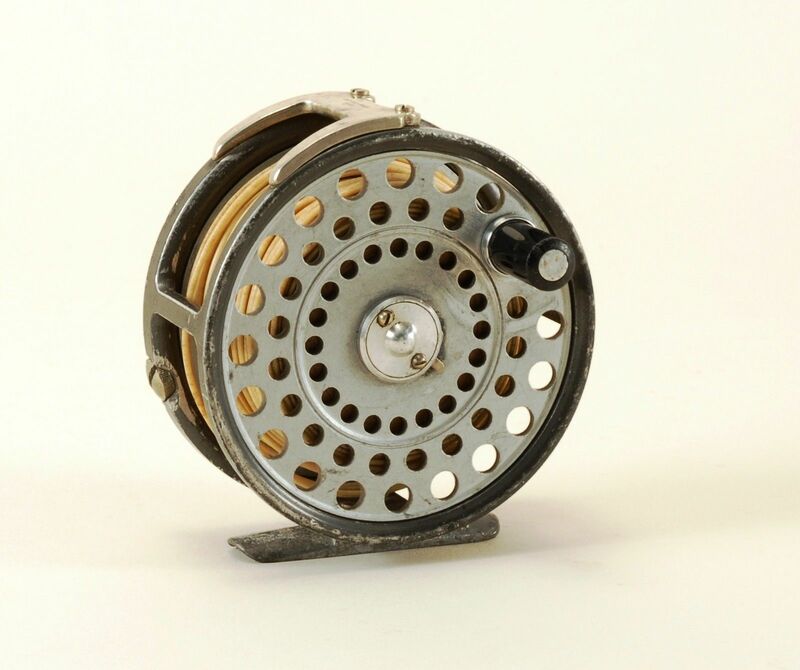 The wabi sabi combination of the industrial roughness of the reel and modern sleekness of the rod is beyond beautiful. More importantly, the weight of these reels seems to hit the sweet spot of just enough heft to balance these two handed rods on the upper cork grip unlocking a spey rod’s true long distance casting potential. The House of Hardy was founded in 1872 as Hardy Brothers. 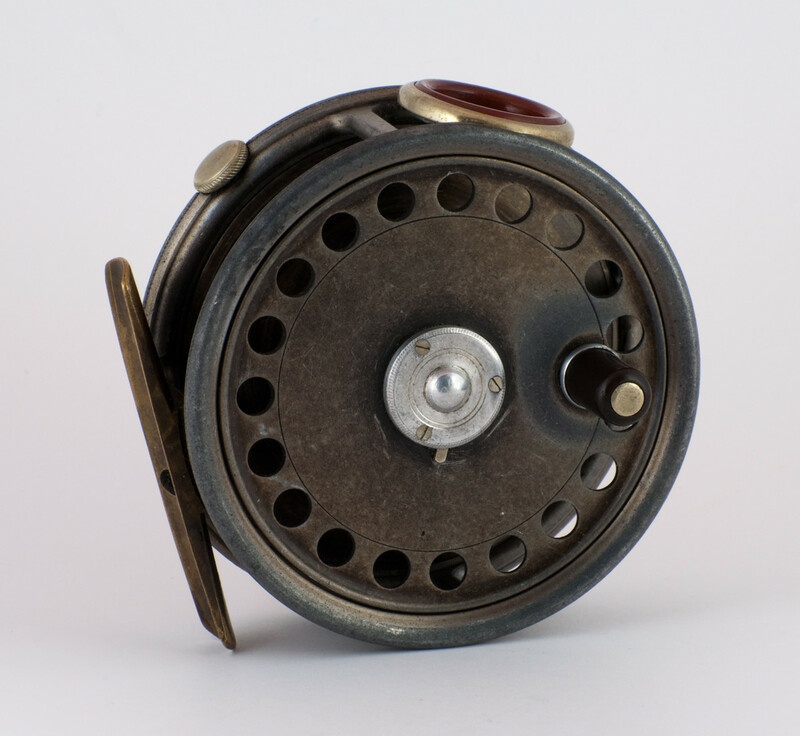 William and John Jay Hardy made their indelible mark on angling with the introduction of the The Perfect in 1891 – a reel design that is still copied, admired and fished religiously to this day. Their line of hand tied flies, tackle, rods and reels continued to expand and their legendary catalogs (Angler’s Guides) reflected this growth and popularity – their 1929 edition was a hefty 374 pages. 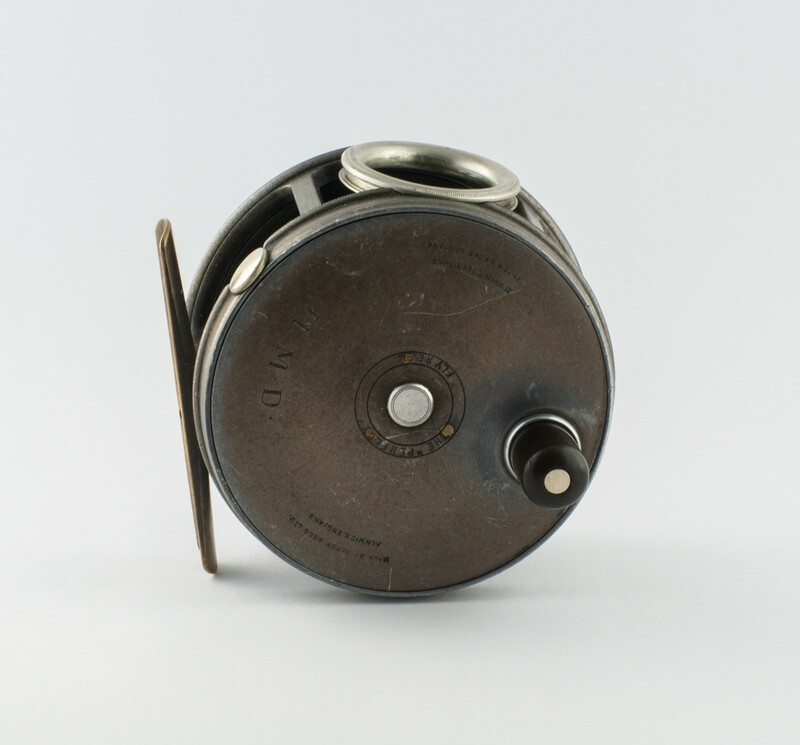 Other reel designs became favorites around the globe as well. Every single one of them based on the simple, rugged and reliable click and pawl check system – The BouglÃ©, The Marquis, The Lightweight Series, The St. John and The St. George. Throughout the years the House of Hardy has had its ups and downs. It was bought and sold a few times and was in dreadful disrepair in the 70s and 80s. Recently though, they are back on the track, as they moved the production of the BouglÃ©, Perfect and a few other heritage reels from overseas back to England. To be honest though, there’s no need to buy a new Hardy off the shelf. There are plenty of beaten and bruised beauties to be found on the secondary market at affordable prices – and even after a lifetime of abuse, they will still let loose the Hardy signature growl when a fish runs. And if you do find your Hardy needs maintenance – there is only one man to do it – Bill Archuleta at Archuleta’s Reel Works in Grants Pass, Oregon. Then again if it’s steelhead season it might take Arch a little while to get back to you. @Ryan I saw that. I’m glad the Pflueger Medalist is getting some much deserved attention. 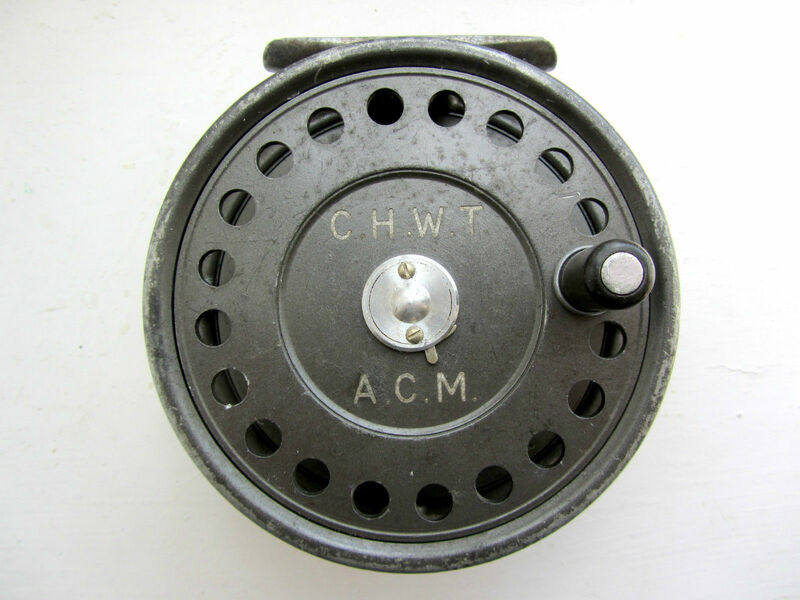 It’s got to be the most used fly reel of all time. 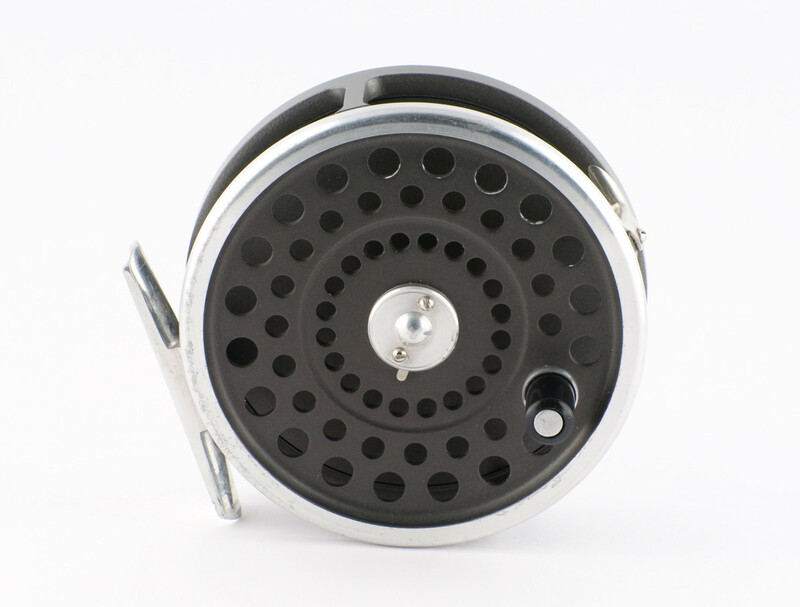 It was my first trout reel and lots of anglers still swear by them for everything from striped bass to steelhead. Although for the price of a “new” Medalist you could pick up 2 or 3 of the old ones on the auction site.